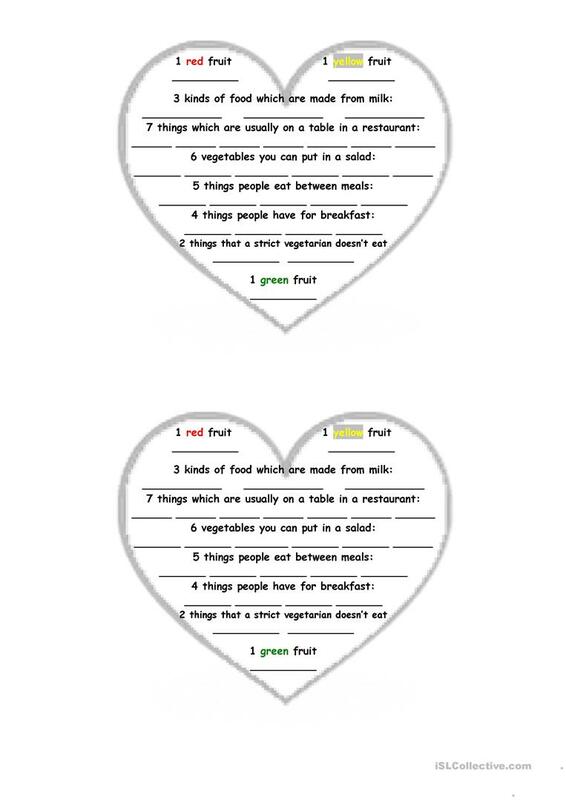 Give heart-shaped activity to each group (4-5 ppl in each) and have a race to see which group can finish first. Good for review about food. The above downloadable teaching material is intended for high school students at Elementary (A1) level. It is a valuable material for strengthening your class' Writing skills. It focuses on the topic and words of Food. KelQuint is from/lives in Brazil and has been a member of iSLCollective since 2011-09-15 22:42:52. KelQuint last logged in on 2011-09-16 02:40:43, and has shared 1 resources on iSLCollective so far.